In 1998 ACOREMA opened a small Interpretive Center in Pisco, a coastal town in southern Peru, to show the marine life and the conservation problems it faces. Through the time the Center was growing in expectations and interest by the visitors, becoming the only environmental interpretive center of its kind in Peru. The aim of the Center was to raise awareness about the coastal and marine environments, with emphasis on threatened species such as dolphins, whales, Humboldt penguin, Peruvian diving petrel, marine otter, marine birds and sea lions. Between the years 2000 and 2006 the number of visitors averaged 9,000 / year, including mainly local and national students, teachers, undergraduates, guides and tour operators, fishermen, authorities, park rangers, tourists and local residents. 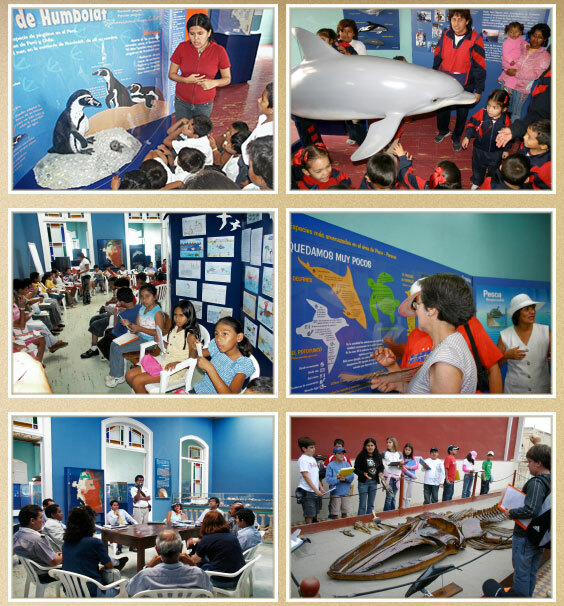 In a visit to the ACOREMA Environmental Interpretive Center one could find information on the Peruvian marine ecosystem, it richness and resources, how important is the sea for the country’s economy and how everyone’s actions may either save or jeopardize threatened species and the marine environment that support all life. The presence of the Paracas National Reserve was highlighted as the main marine protected area in the country. Information was presented to visitors in a clear, concise and friendly language directed to all publics, each theme motivating to reflection. To accomplish this, diverse visual elements were used, including panels with raised texts, infographies, pictures and interactive spaces, three-dimensional models of marine species (both full–sized and scaled) and the complete skeleton of a young humpback whale. The visit, which could be self-guided or assisted, was complemented with lectures, conferences and video sessions on the themes of the Center, as well as free distribution of informative materials (leaflets, booklets, teacher guides, stickers, posters, etc.). Artwork on marine issues made by local children and youngsters were exhibited in a designed area, and there was a space where they could use a computer and basic equipment to analyze the samples collected during their field trips. Besides, the Center provided access to a marine issues library as well as advice and guidance to conservation initiatives proposed by the visitors. The location of the Center was strategic. The Pisco – Paracas area embrace the territory of the Paracas National Reserve, the main marine protect area in Peru. This Reserve and the Ballestas Islands (now part of the new System of Guano Islands, Islets and Points National reserve) receive each year about 100,000 visitors, both national and foreign. With activities directed to this public, the Center was able to expand the coverage of the conservation messages about the marine biodiversity and the threatened species. Once its existence was known, several visitors from cities such as Lima, Ica, Chincha, Ayacucho and others chosen the ACOREMA Center as a “must to see” place in Pisco. Some of the main private schools and universities from Lima scheduled annual visits to the Center as part of their study trips to the Pisco area. 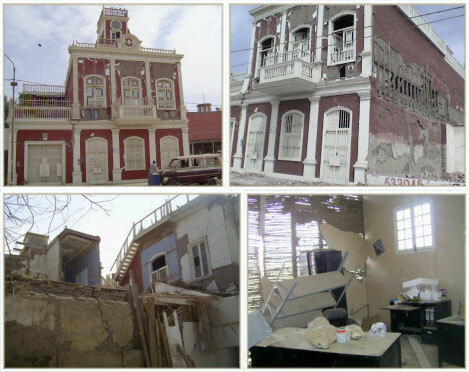 The situation of the ACOREMA Environmental Interpretive Center dramatically changed on 15 August 2007, when a 7.9 Richter scale earthquake destroyed almost 80% of Pisco city, the epicenter of the disaster. In less than three minutes the Center collapsed; one part was completely destroyed and the other unsuitable for inhabitation. 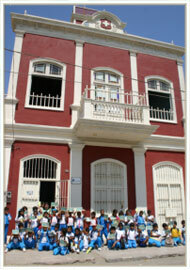 During its existence (November 1998 – August 2007) the Center had a positive impact in education and awareness on marine conservation beyond the limits of Pisco. As a mean for education outside the school, it motivated the first steps in the process to insert marine education of quality in the regular education system. The Center had an important effect as a link between the community and the ocean; favored discussions that in many cases resulted in planning and implementation of actions to help mitigating threats to the marine biodiversity. It sowed in the children and adults the interest for the marine environment, the change of attitudes, consumption habits and the development of activities for the benefit of the marine life and the environment. It turned in a beloved place, especially for the local community.